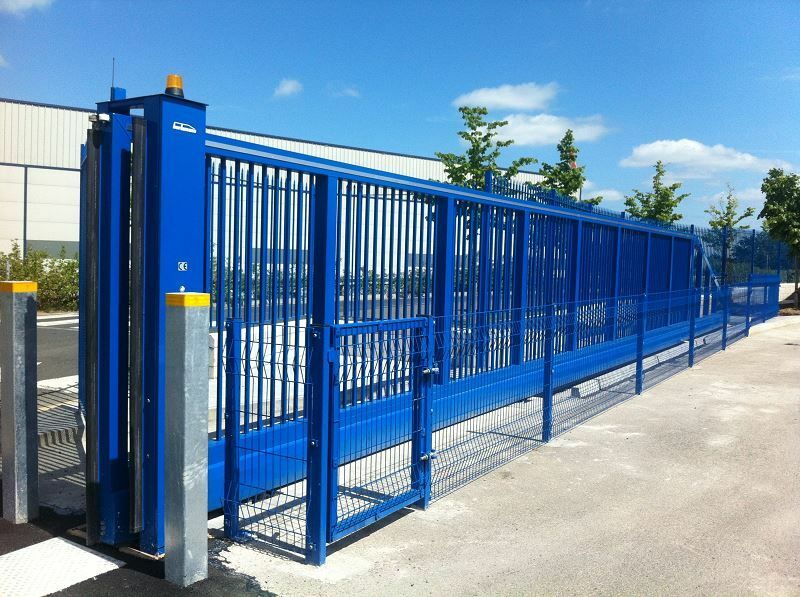 Sliding, Swing or Cantilever Gates we can automate your choice and control it’s operation with state of the art control systems. 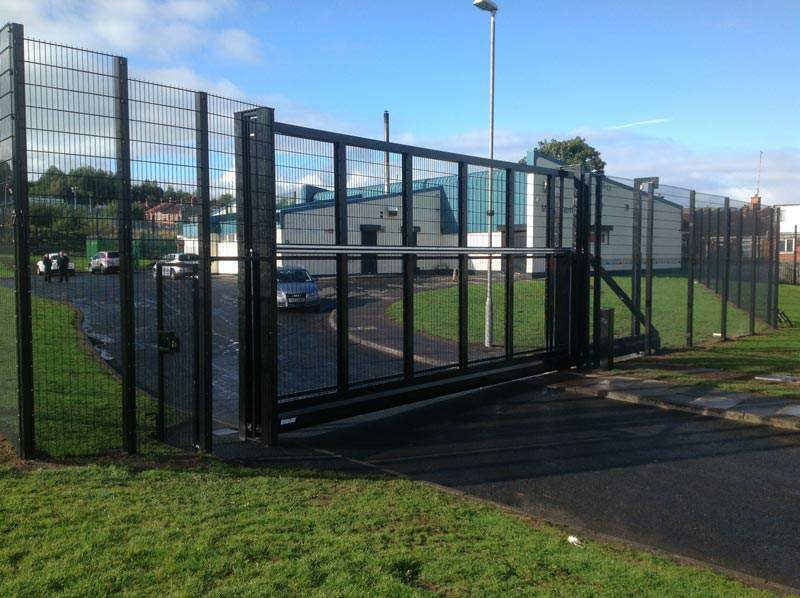 We can utilise equipment from the Worlds leading suppliers of Gate Automation. 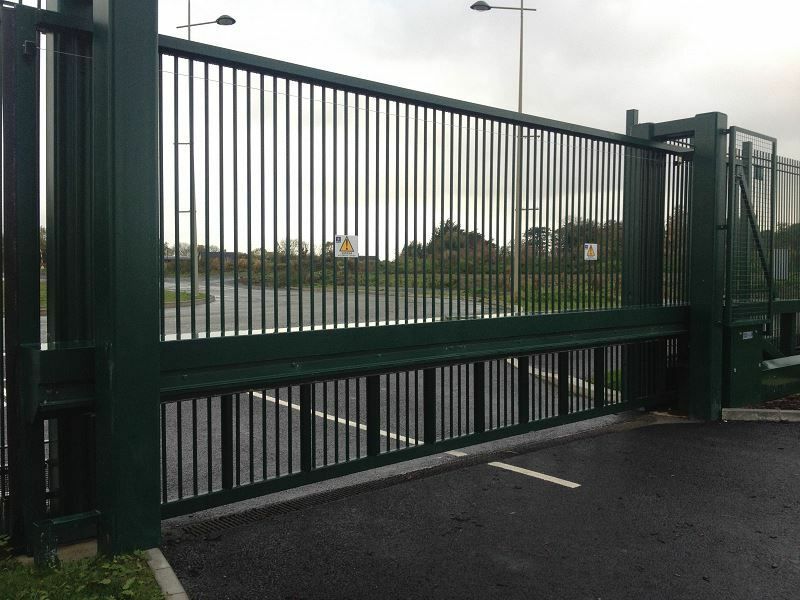 All Commercial Automatic Gates installations are by Private Security Association(P.S.A.) 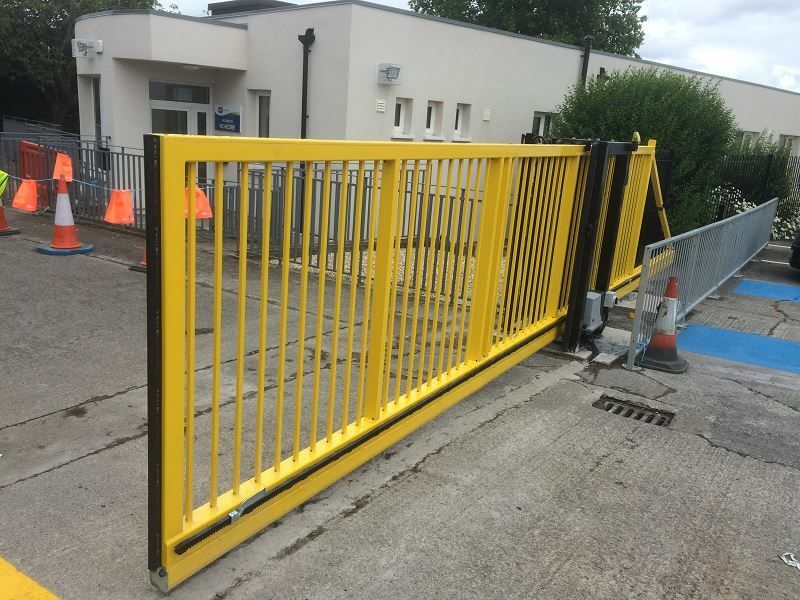 licenced personnel who are fully qualified for the equipment they install.CE marking and compliance requirements will be provided. 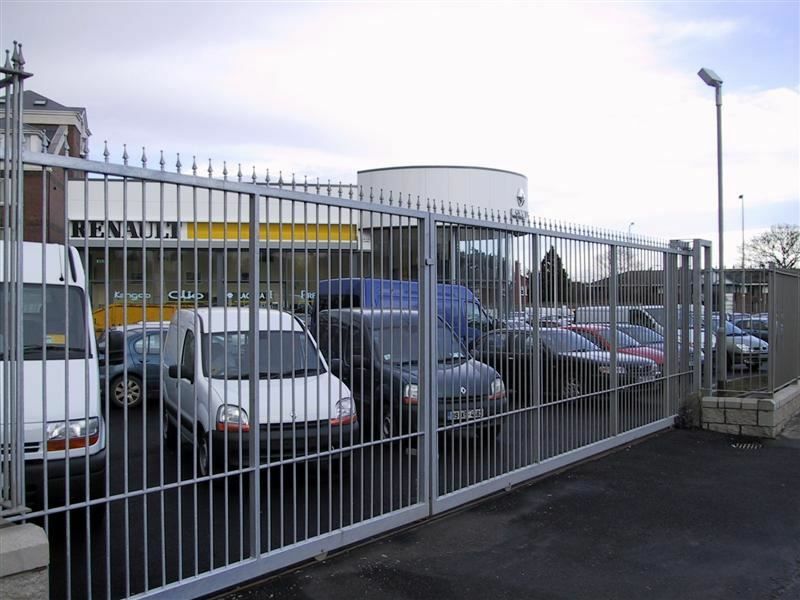 Our experts can advise on the appropriate motor for your requirements. 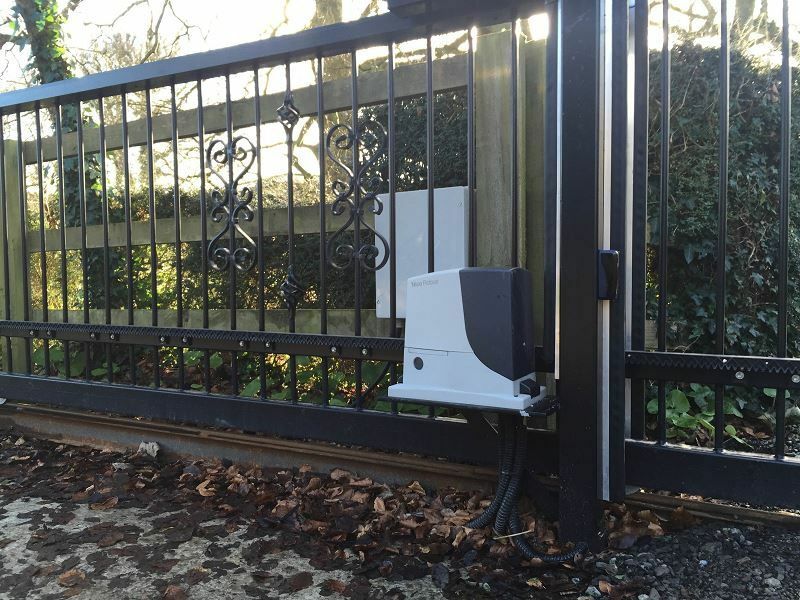 See below for the options to control your Automatic Gate together with the safety features that will protect your occupants, animals and vehicles from injury or accident. Sliding, This is the simplest type of motor a cogged wheel on the motor engages with a toothed rack the gate, it runs on a track set in the ground. 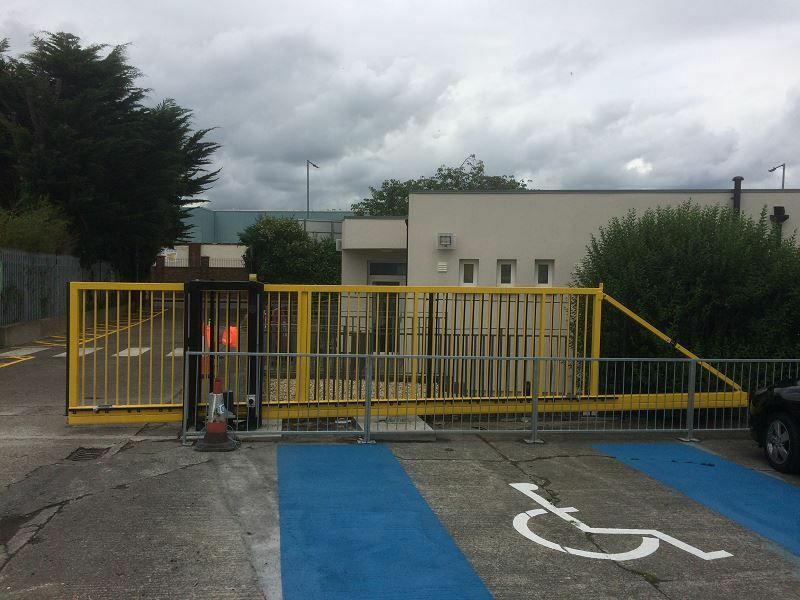 In order to use this type of system the gate needs sufficient space to run back the width of the opening plus between 500mm and 1000mm if this is possible it offers a convenient operation with few faults and minimal maintenance it maximises the space within the parking area. 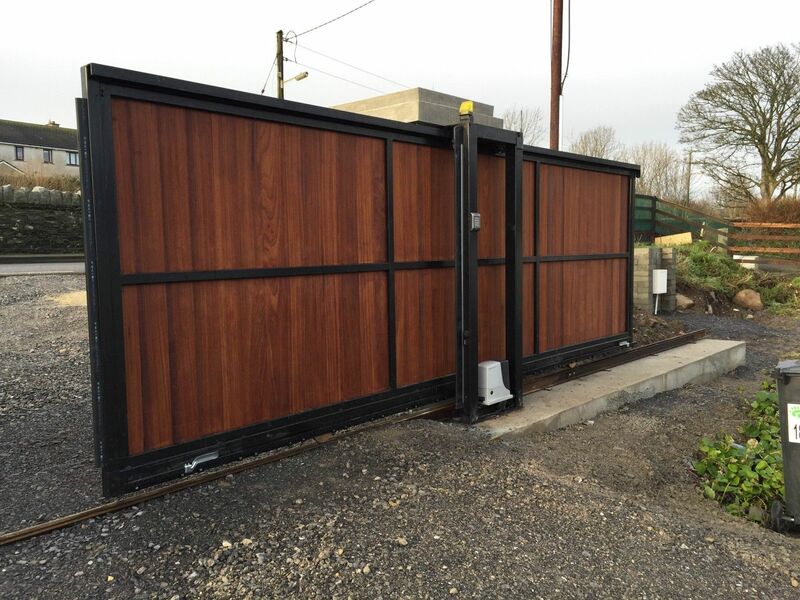 Using a similar motor system as a sliding gate but no track is required.Irfen® Cantilever gates are an innovative solution to a number of problems, is very strong and It can operate across a sloped entrance. 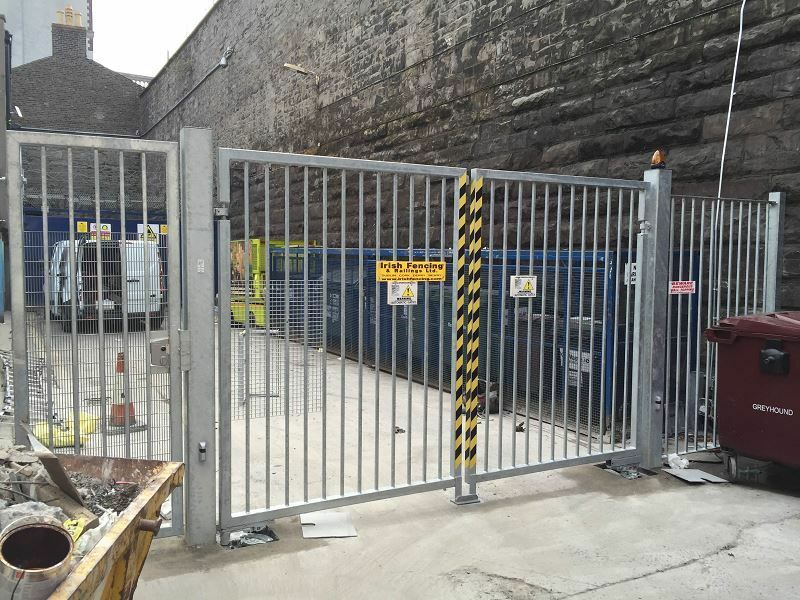 Access restrictions during installation are diminished as only limited building work is required and no track needs to be laid. 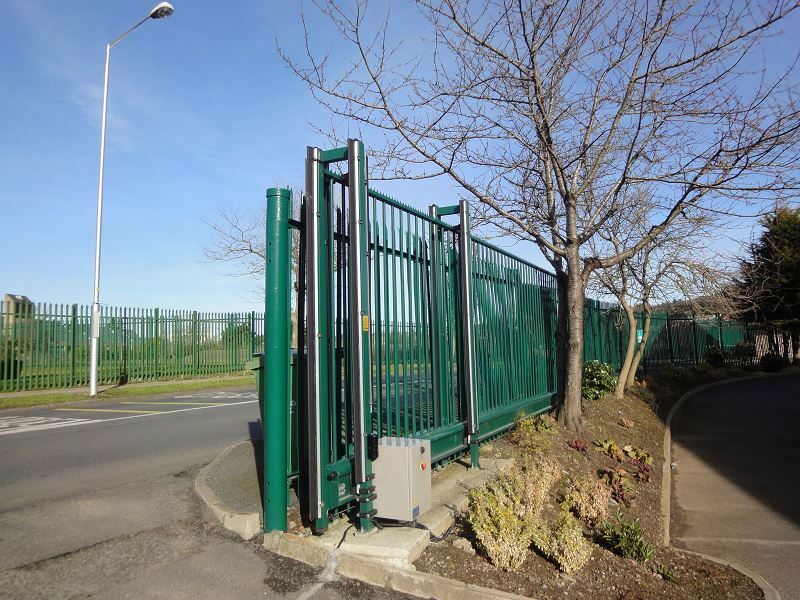 Below gate operators are the neatest option for operating a gate or gates. 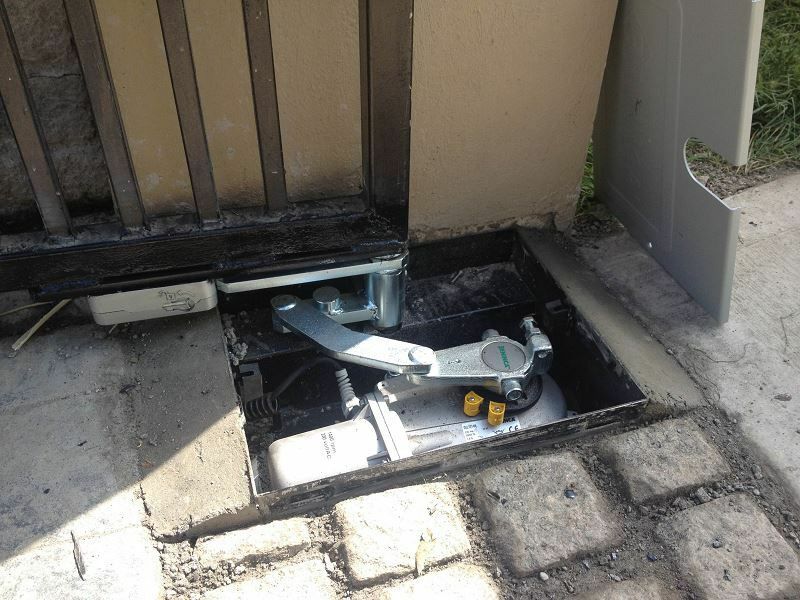 The gate pivots on the motors which are buried and set in concrete. 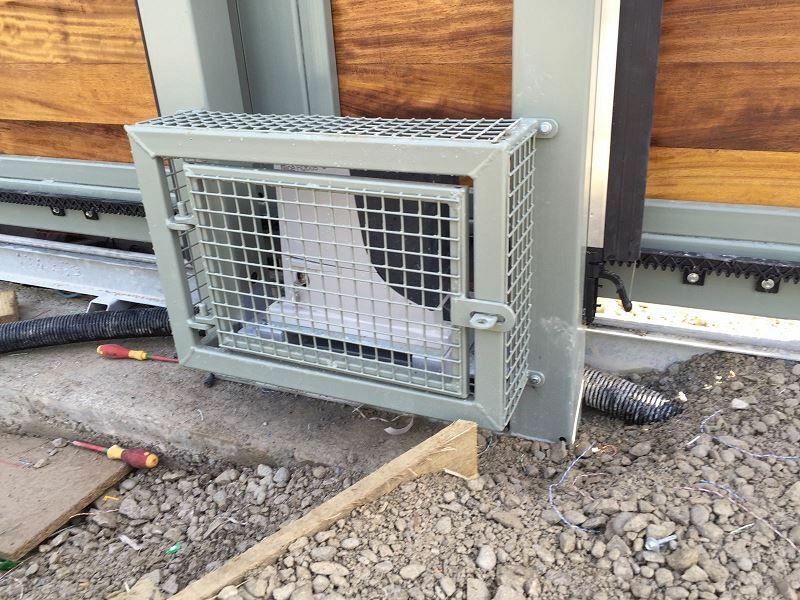 The motor box needs to be correctly positioned at the required pivot point. 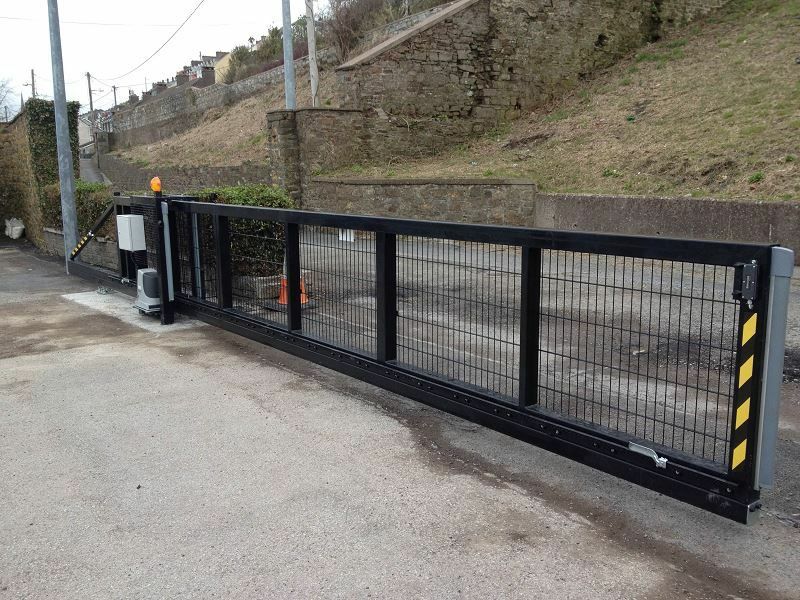 Below ground motors are our most popular swing gate operators but are more costly than the above ground options. 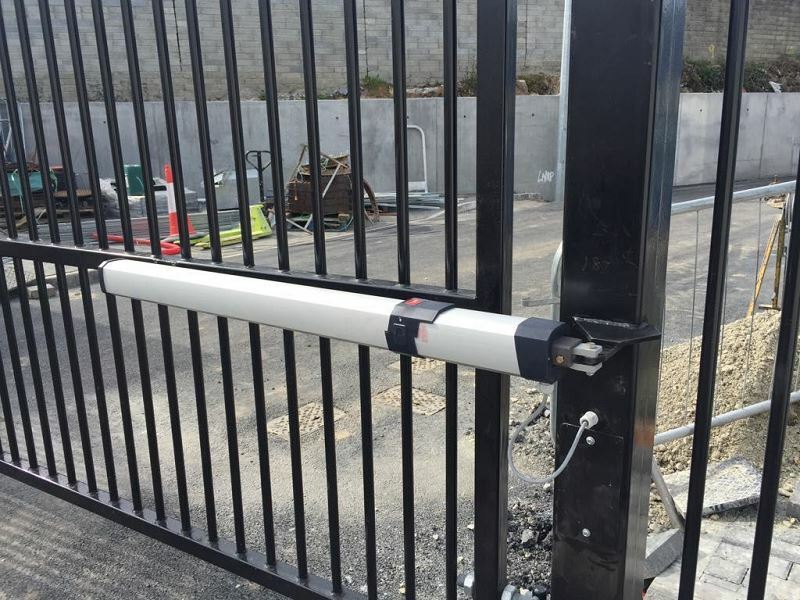 This product requires expert installation to ensure correct operation and the avoidance of issues such as water penetration. 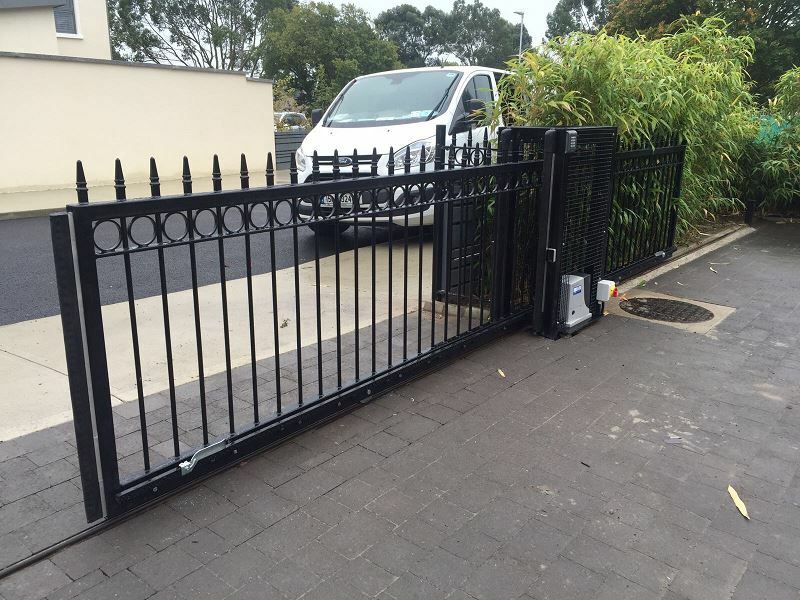 Using our skilled fitters will ensure years of top quality operation of your gate. 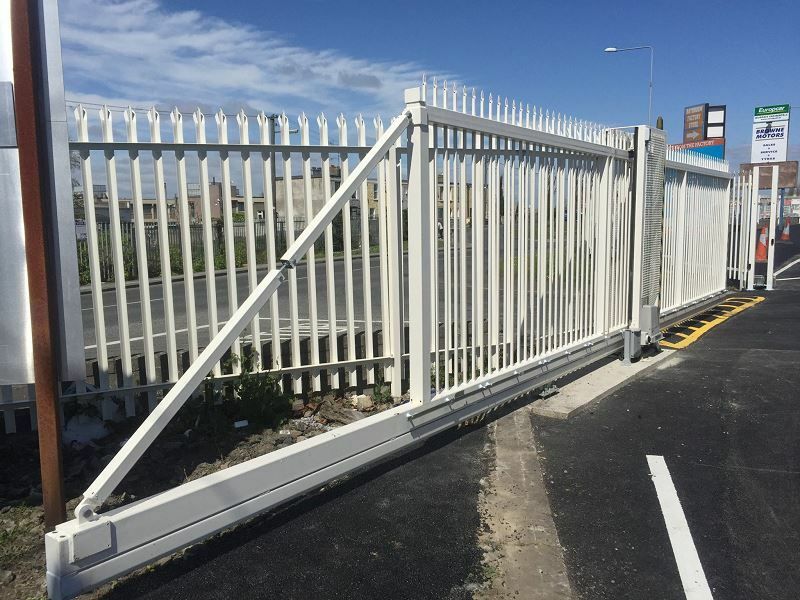 Linear or rigid arms can be Electromechanical or Hydraulic, they are mounted from the gatepost or pier and fixed to the gate frame, they are generally used in pairs to provide a double leaf gate system. 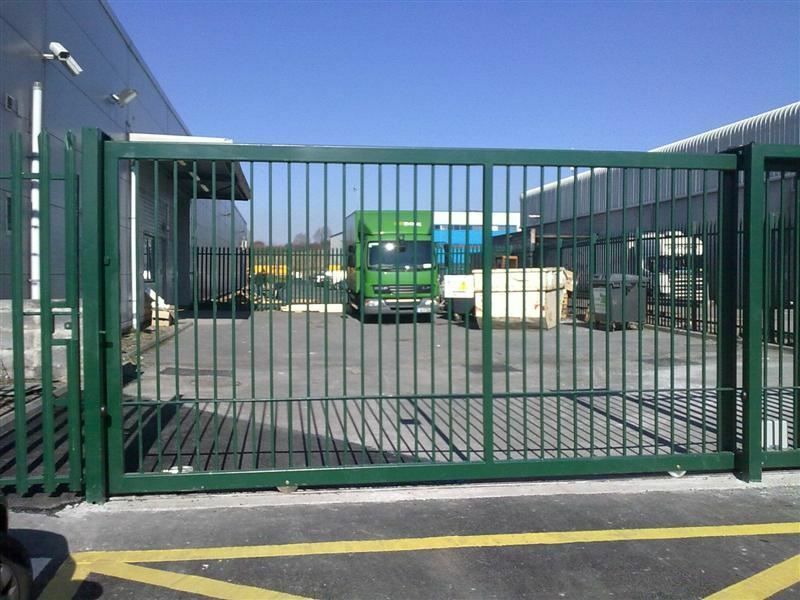 The size of unit required is dependent on the weight and width of gate and the available angle of opening required. 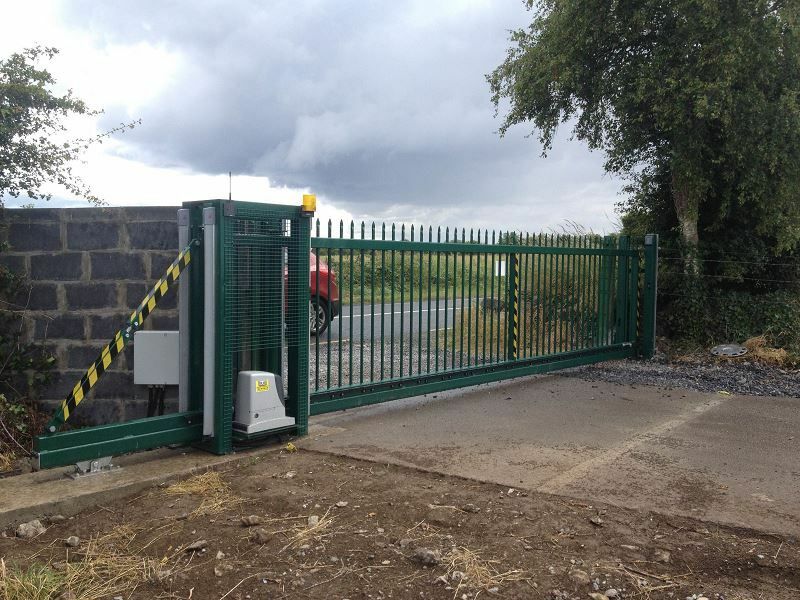 Above ground motors are the best option for automating an existing gate. 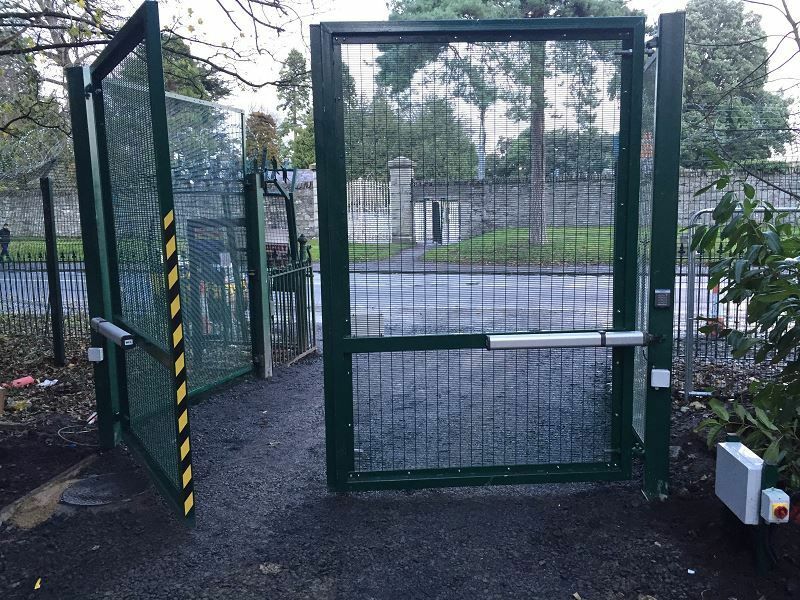 See below for the options to control your Automatic Gate together with the safety features that will protect your users, animals and vehicles from accidents. 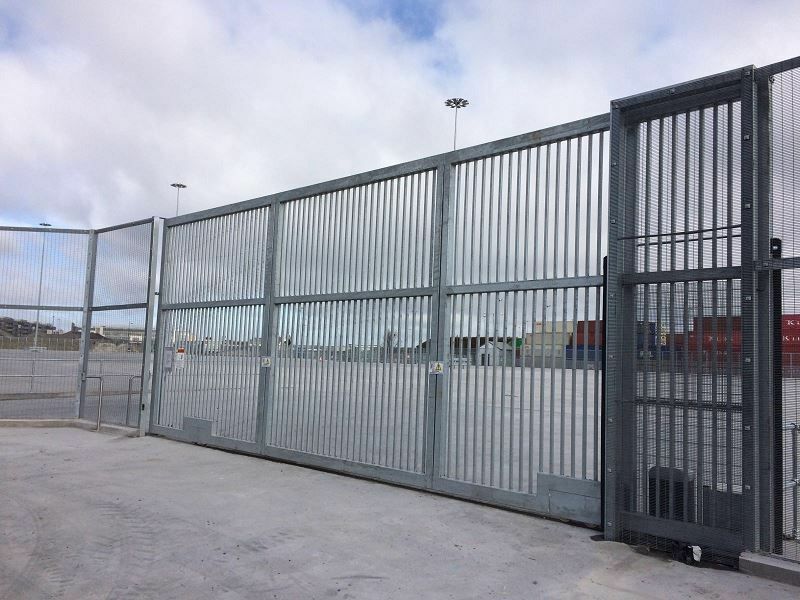 Operation of Your Gate can be by various means they have advantages and disadvantages. 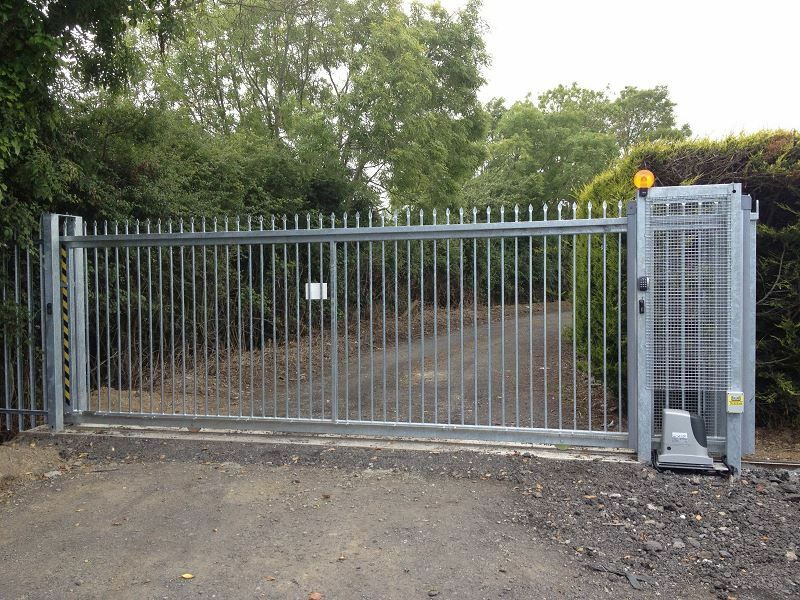 Push Button – Suitable where an operator has visual sight of the gate. 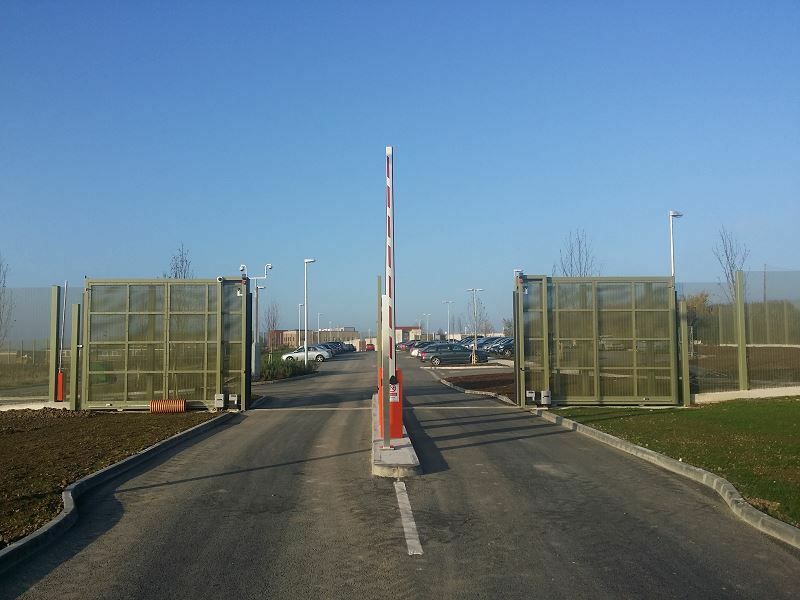 Intercom or Video viewer; enables monitoring of visitors, prone to vandalism and tailgating. 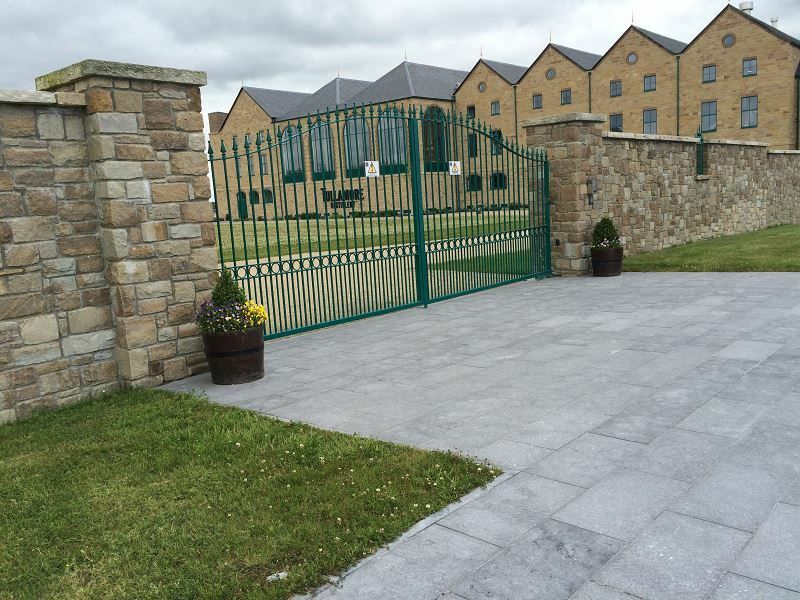 Key Pad – Always carries the risk of the code being passed on but very cost effective. 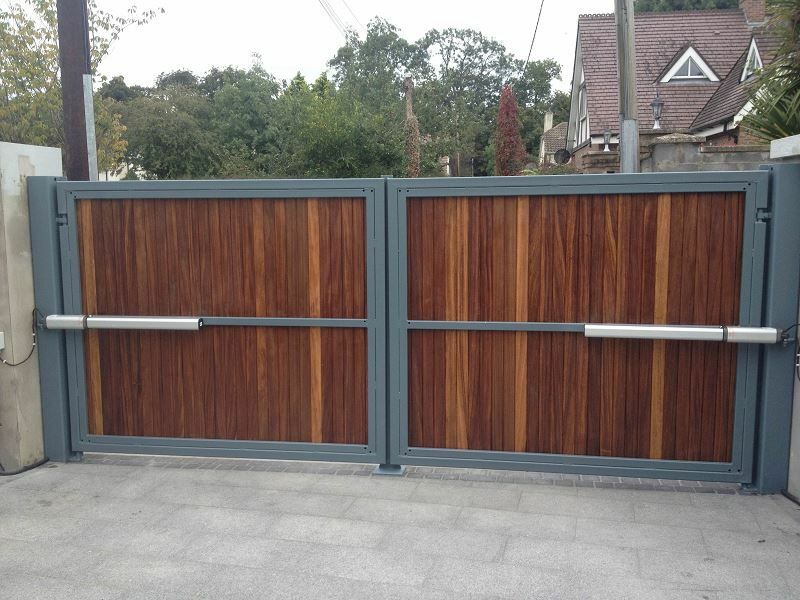 Remote Control – Very convenient and popular method. 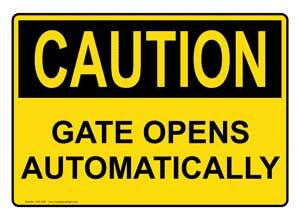 Risk of user opening from long distance and allowing intruder to enter unseen. 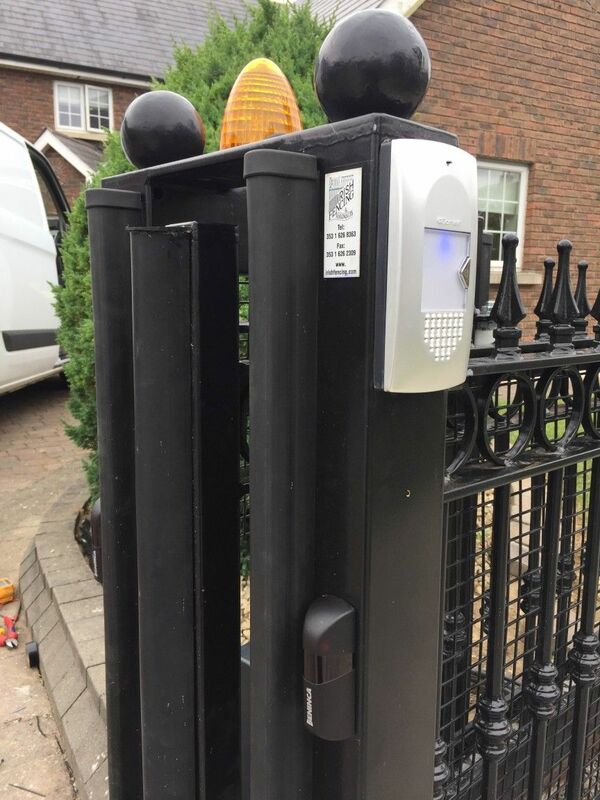 Card or Fob Reader – Inexpensive to replace if lost, but difficult to ensure cards or fobs are not passed to undesirable people. 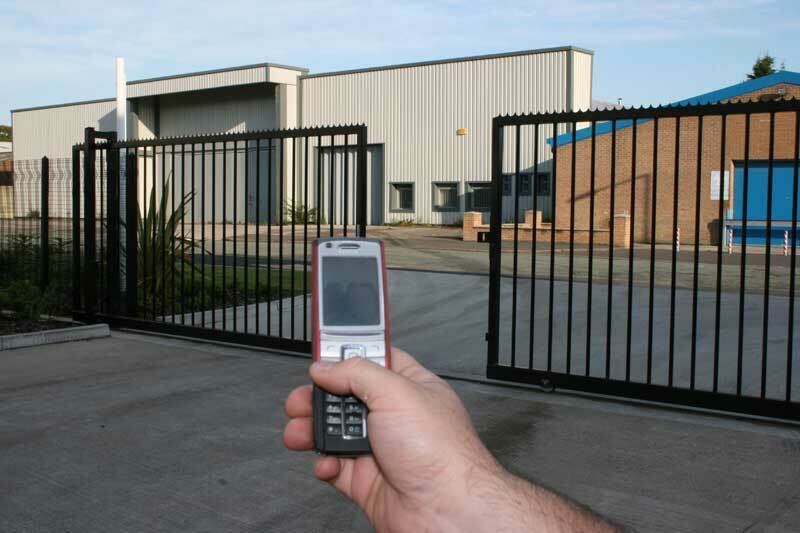 Remotely using your mobile phone – The latest technology, very secure, enables control of large numbers of users. 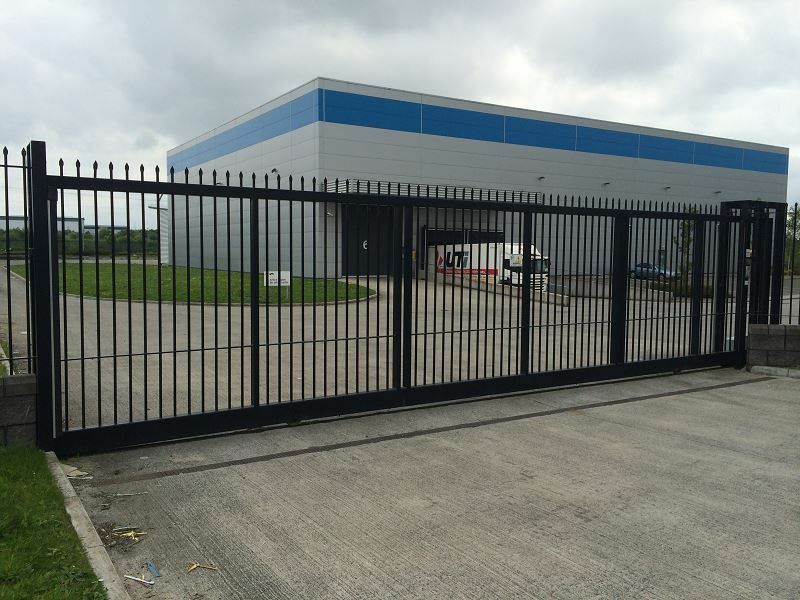 Our Staff can assist you in making the right choice for your requirements. 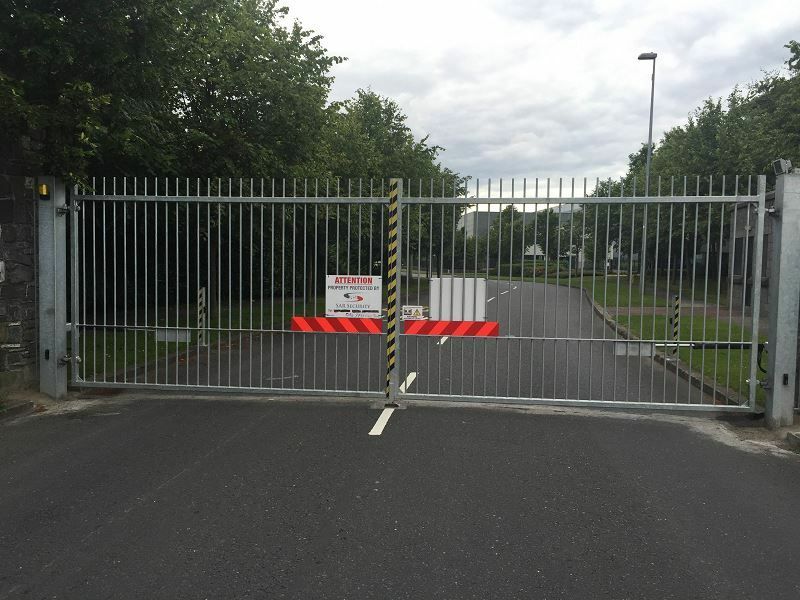 In accordance with our legal requirements under S.I. No. 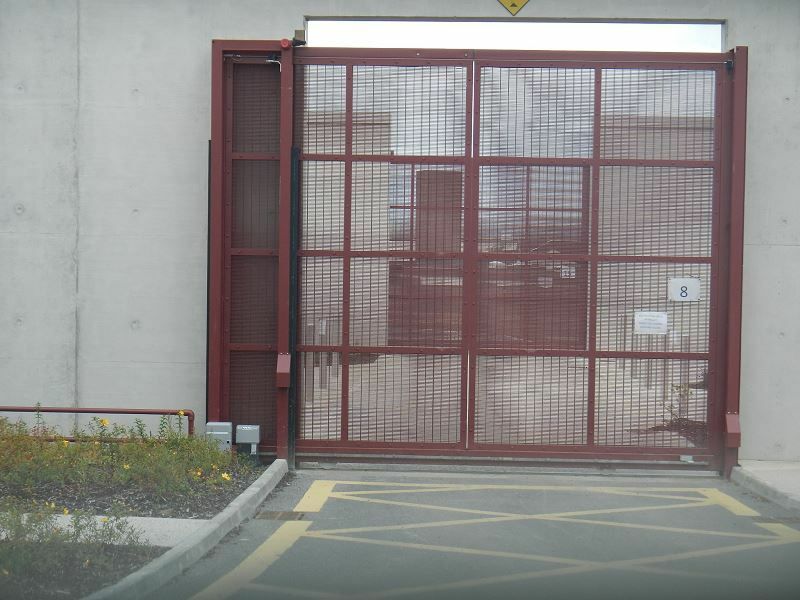 407/2008 – European Communities (Machinery) Regulations 2008. 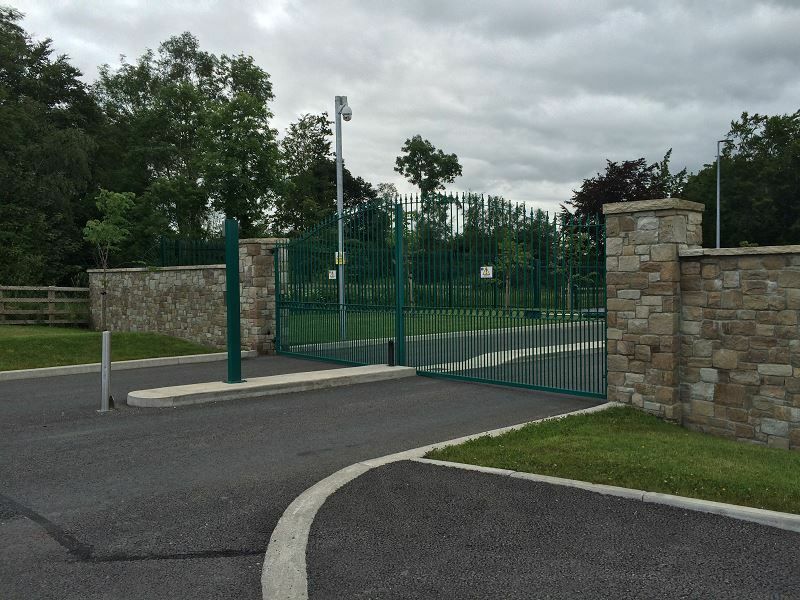 New automated gates have a requirement to be CE marked to show that they comply with current legislation. 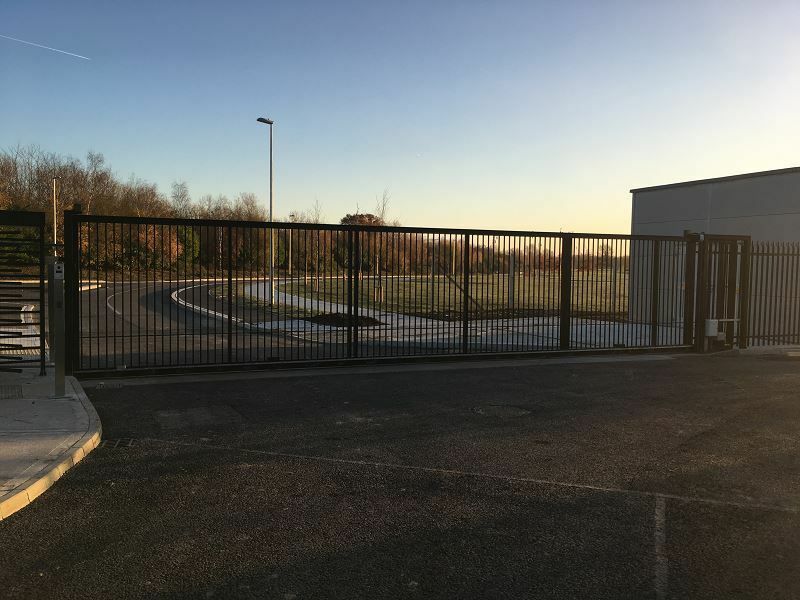 Your automatic gate will have safety edges and photo cells to prevent contact injury or damage to vehicles, all trap points will be identified and protected . 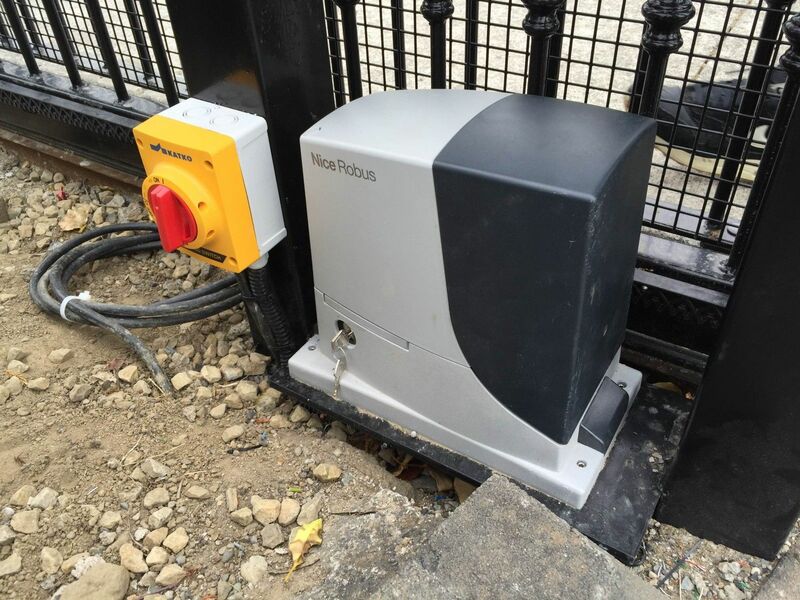 Our motors come with obstacle detection technology which reverse on contact and a visual movement signal generally a flashing light will be fitted to ensure your compliance with Health and Safety requirements. 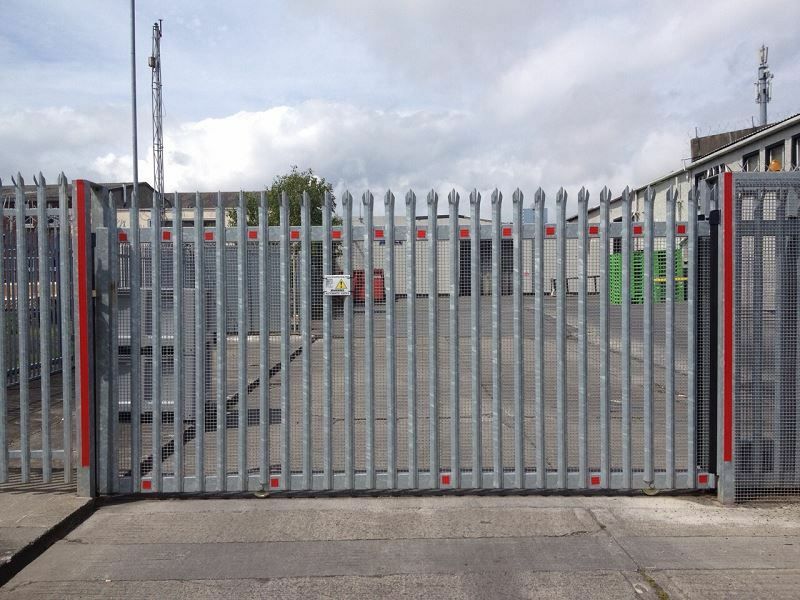 Ultimately you will be the responsible party for any machinery operating on your property so we recommend an annual service contract to ensure compliance with current standards. 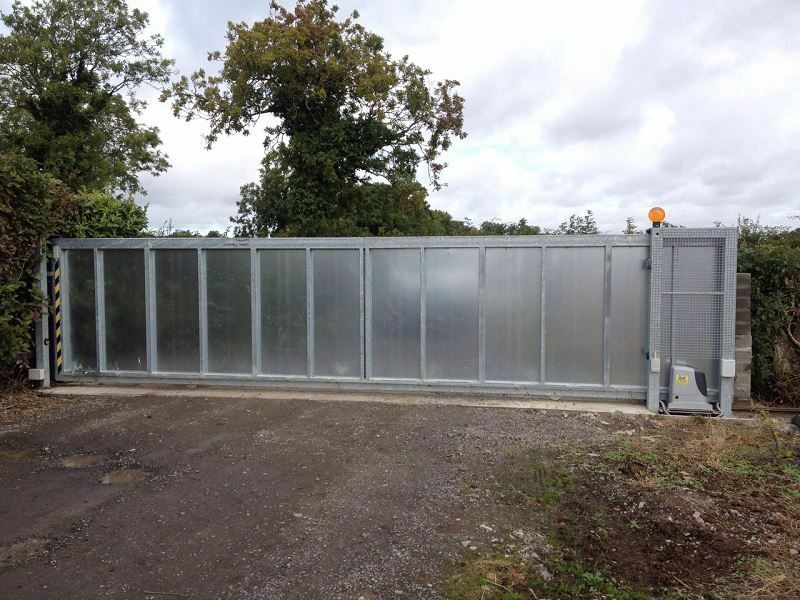 All our installers are PSA registered and fully trained. (see notice below). 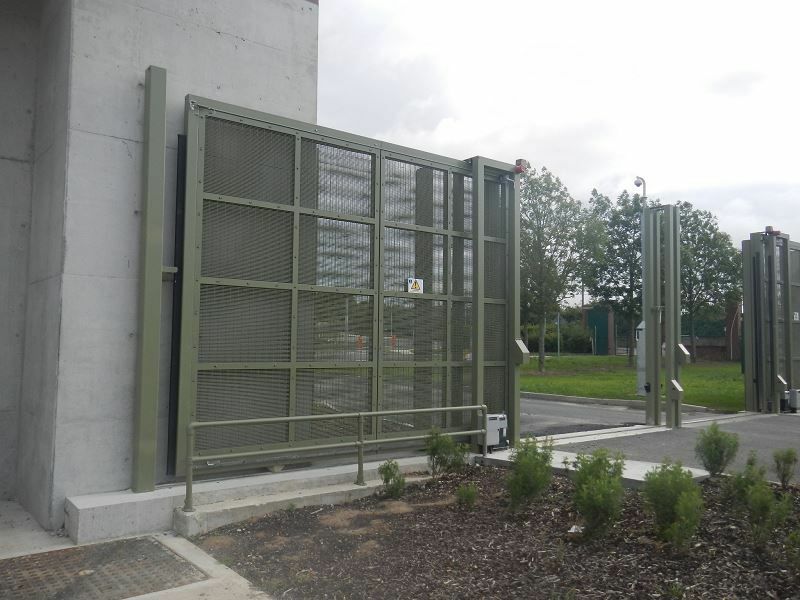 We can supply automation equipment from a wide range of manufacturers and can help you select the correct operating system to suit your project. 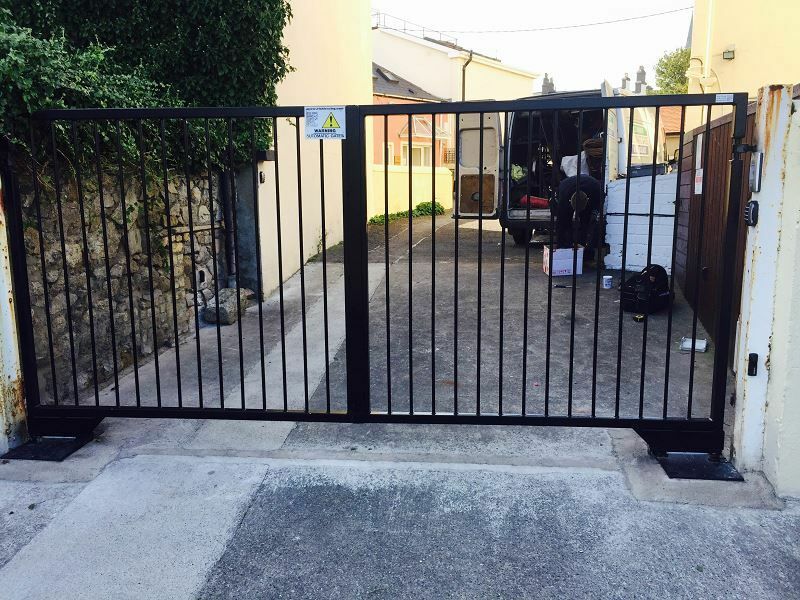 Safety this is the over riding issue, gates can be dangerous without the appropriate safety devices being incorporated, to be frank some of these essentials can dis-improve the look of your gate or increase the small number of electrical or mechanical problems that can occur, this is because safety features have to be set at a level where a small child’s contact will stop the gate, this increases the risk of other factors such as high winds or small obstructions causing the gate to stop. 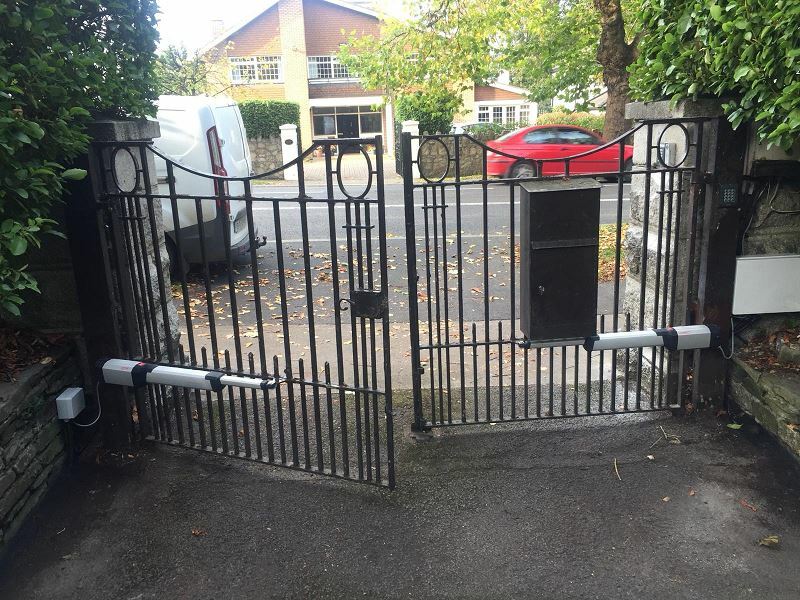 There are incidences recorded abroad of unscrupulous installers bypassing inbuilt safety features in order to ensure no call outs with fatal results. 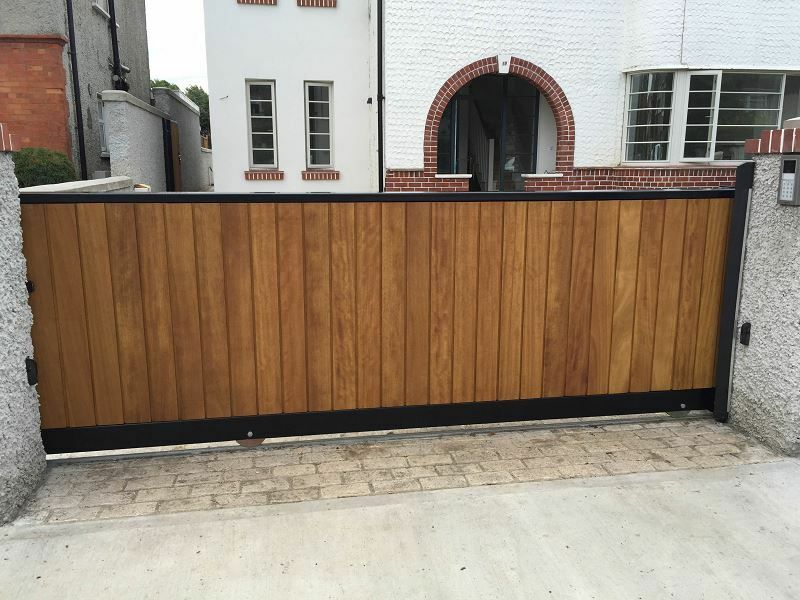 We believe in being upfront with our customers. 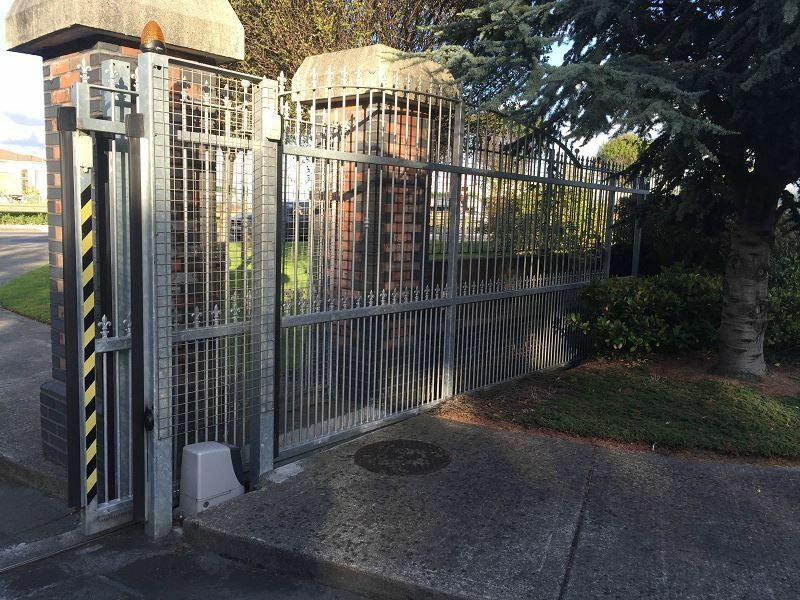 An Automated Electric gate can make your life incredibly more convenient and safe but there can be some issues from time to time we recommend an annual service agreement which will usually pre-empt breakdowns and costly call outs. PSA Notice Re: Use of Specialist Subcontractors or Outside Expertise. 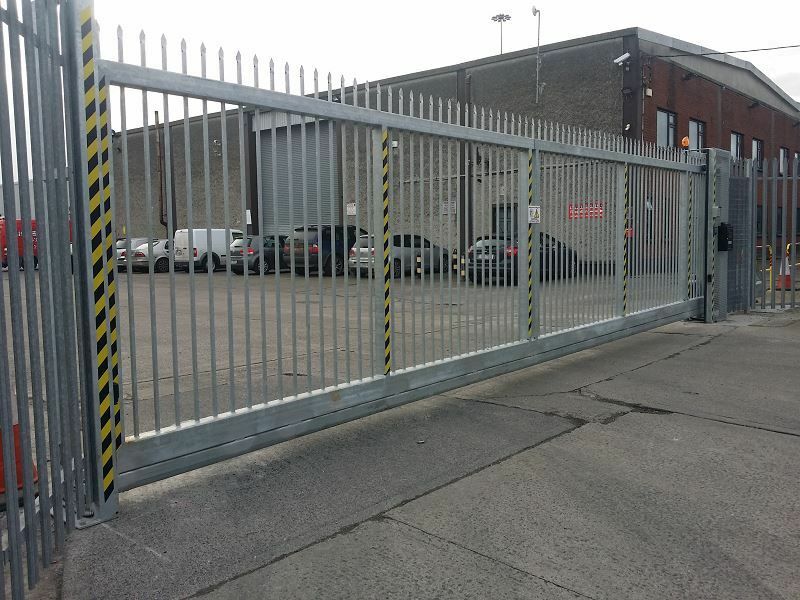 For some speciality works or expertise Irish Fencing and Railings Ltd. does not have directly employed personnel and uses specialist companies or sub-contractors.These are generally in the provision of electrical services, operation of certain plant and machinery and specifically in the installation of certain classes and types of Access Control Equipment and other security services which fall under the requirements of The Private Security Authority. ( PSA ) licensing.